Mulally, 71, met with Trump Thursday in New York to discuss the position. President-elect Donald Trump’s short list for secretary of state has grown, with former Ford Motor Co. CEO Alan Mulally now under consideration for the job as the nation’s top diplomat, a top adviser said today. Mulally, 71, met with Trump Thursday in New York to discuss the position, campaign manager Kellyanne Conway said on Fox News. Mulally, 71, helped engineer a turnaround at the automaker while avoiding the bankruptcies that befell its crosstown rivals, General Motors and Chrysler, now part of Fiat Chrysler Automobiles NV. He previously served as head of Boeing Co.’s commercial airline business division. Conway said Exxon Mobil Corp. CEO Rex Tillerson, former Republican presidential nominee Mitt Romney, former New York City Mayor Rudy Giuliani, former CIA Director David Petraeus, Senate Foreign Relations Committee Chairman Bob Corker, former U.S. Ambassador to the United Nations John Bolton, and Representative Dana Rohrabacher, a California Republican, were also among the names under consideration. Conway has publicly warned that the selection of Romney could upset Trump voters who see the former Massachusetts governor as too aligned with the political establishment. She said today that whoever was selected would need to hew to the president-elect’s foreign policy vision. “You have to be able to adhere to what will be the Trump doctrine worldwide and be able to execute it,” she said. She acknowledged that Mulally would be an interesting choice considering that Trump has targeted two firms he helped lead. Earlier this week, Trump tweeted that Boeing’s contract to build the next Air Force One plane was too expensive. He has said he wants to keep Ford from moving manufacturing plants from the U.S. to Mexico. 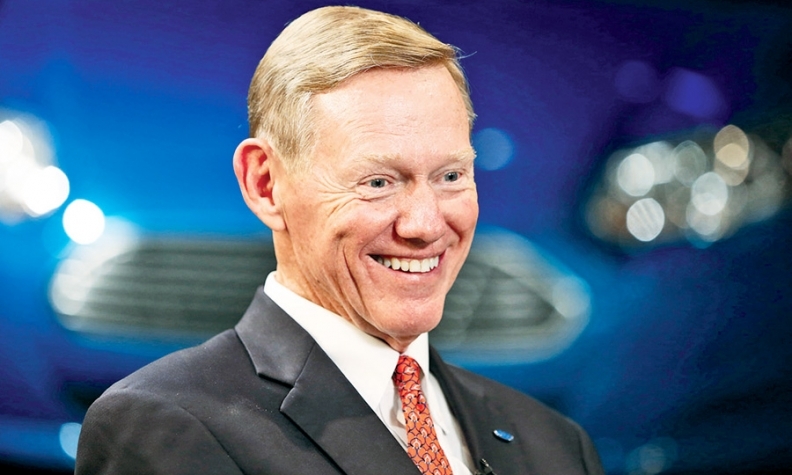 Mulally, who retired as CEO of Ford in 2014, earned bipartisan praise for his efforts at the iconic automaker, staving off bankruptcy by globalizing new models, cutting costs, boosting technology and overhauling the lineup with fuel-efficient vehicles such as the aluminum-bodied F-150 pickup. After leaving Ford, Mulally joined the board of Google just as the tech giant was stepping up research into self-driving cars. Before leaving Ford, Mulally had been considered for the top job at Microsoft Corp. that ultimately went to Satya Nadella. There was also speculation that he could join the Obama administration because he sat on Barack Obama’s Export Council, formed in 2010 to advise the president on trade.